Turmeric has had an immense surge in popularity within the wellness community. Whether you’re ingesting it or applying it topically, turmeric has been shown to reduce inflammation and leave your skin healthy and glowing. But what even is it? How does it work? And how on earth are you supposed to integrate it seamlessly into your routine? 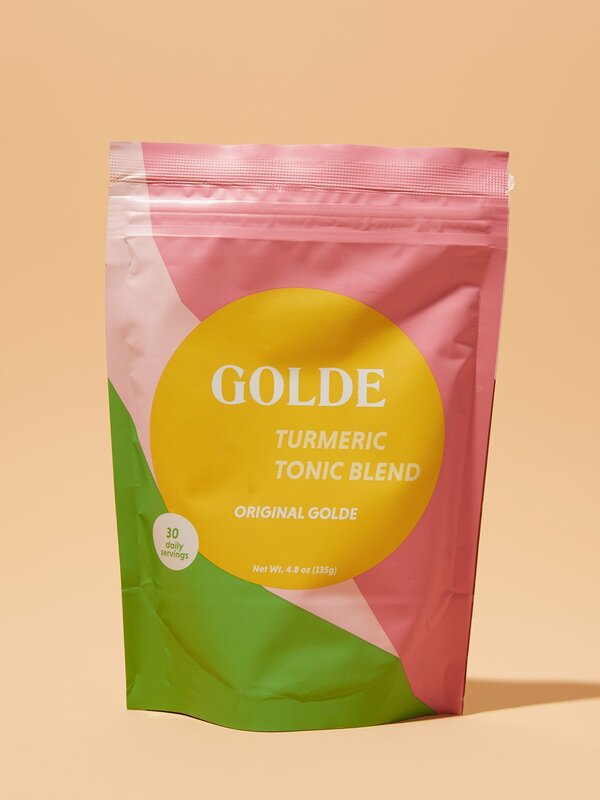 With the help of Trinity Mouzon Wofford of GOLDE, a wellness brand with a line of turmeric based blends, we got all the answers. According to Trinity, “turmeric is a root (or rhizome) in the ginger family, [found] in food and medicine across multiple cultures, but is best known for its ubiquity in Ayurveda.” In the world of wellness, turmeric is best known as an antioxidant with intensive anti-inflammatory, antibacterial, and antiseptic benefits that can be applied on the skin or can be digested, whether you cook it traditionally or have yourself a latte. What most people do not know is that turmeric on its own is not effective, but that it needs curcumin, a bioactive component of the plant that actually gives it the high levels of anti-inflammatory and antioxidant properties. Trinity says that “curcumin is found in all turmeric, to varying degrees,” but, that generally it will contain 2% curcumin.” This is important to note because turmeric works best in conjunction with curcumin. 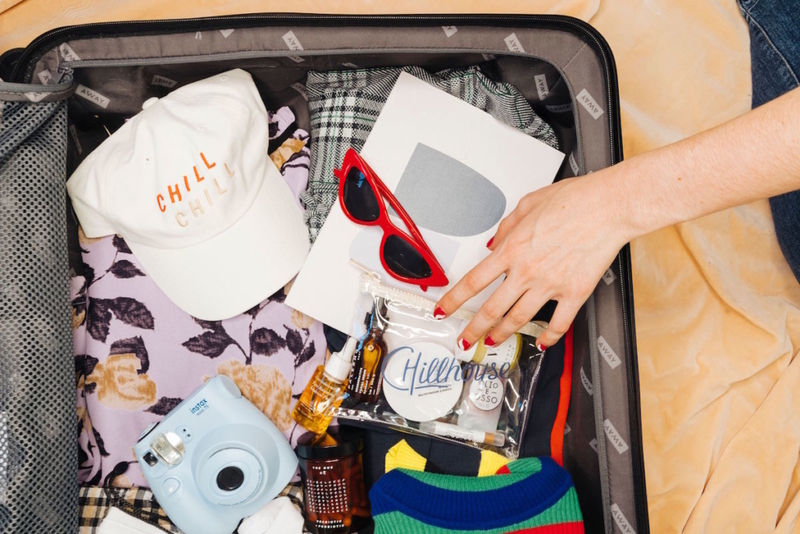 In fact, Trinity notes that curcumin is actually “one of the principle healing constituents in turmeric, and is the reason it’s known to be so anti-inflammatory.” When the two are present together, they create an unbeatable power couple for both your ins and your outs. Integrating turmeric into your beauty routine is actually quite simple, as turmeric can be applied directly to the skin and most effectively in the form of a mask. When applied topically, though, there are a number of skin concerns that turmeric can help with quite effectively. As mentioned, turmeric delivers high doses of antioxidants to the skin, which is critical for fighting free radical damage and slowing down the aging process. How? Free radicals (think: pollution, UVA / UVB damage) bind to the collagen and elastin on the skin, effectively weakening them and speeding up the aging process. Antioxidants eat up free radicals, removing them from your collagen and elastin, thus preventing further damage from being done. Since turmeric powder typically contains curcumin, adding it to DIY masks or even purchasing one of your own is an incredibly effective way to give your skin the dose of antioxidants it deserves. Turmeric is also most well known for its anti-inflammatory properties. But what does this mean for your skin? Trinity says that anyone dealing with acne or redness can benefit from using turmeric simply because of the intensive anti-inflammatory benefits. This also means it can be a star ingredient in helping to fade acne scars. Acne scarring is considered a form of wound to the skin, and just like a cut or scrape, all wounds must be treated to heal properly. The anti-inflammatory properties dive deep, to help calm the wound at the source and visibly reduce both redness and size. 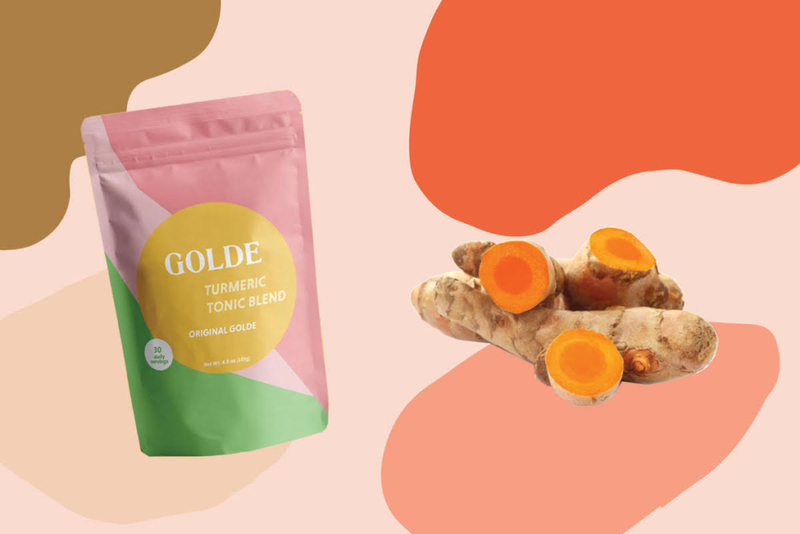 Don’t get us wrong, we love glowy, radiant skin, but turmeric can do so much more than that. In fact, Trinity’s customers have reported that her tonics have helped “clear adult acne, treat chronic pain, or help with immunity,” as well as alleviate “gut issues.” She says, “ultimately, it depends on where you’re seeing inflammation,” but it should be helpful for most in some capacity or another. For readers out there with arthritis, rejoice! Turmeric’s anti-inflammatory properties aren’t just helpful externally, but internally as well. So much so that turmeric has helped to reduce symptoms of rheumatoid or osteoarthritis in patients who experience pain on a recurring basis. A personal favorite benefit of mine are the gastrointestinal benefits that turmeric can aid in. From IBD to IBS, all the way to Crohn’s disease, the anti-inflammatory properties help to ease any inflammation in your stomach and intestines, thus reducing overall pain and bloating. Studies have shown that turmeric might also remedy symptoms of a number of chronic illnesses, from Parkinson’s to a variety of cancers, such as leukemia, skin cancer, and prostate cancer. In addition, studies have also shown that taking turmeric regularly can reduce the risk of Alzheimer’s and Multiple Sclerosis. Of course, we do not recommend forgoing any treatment you or a loved one might be on for any of these issues, but adding turmeric just might help! As with most supplements, the dosage for each person is a very individual matter. The good news, according to Trinity, is there really is no such thing as too much turmeric, so long as you’re ingesting reasonable quantities and not taking it like candy, you’re set. Trinity does note, though, that it can contradict a few certain health conditions, so it is always a good idea to check with your doctor before adding a new health product to your regimen.